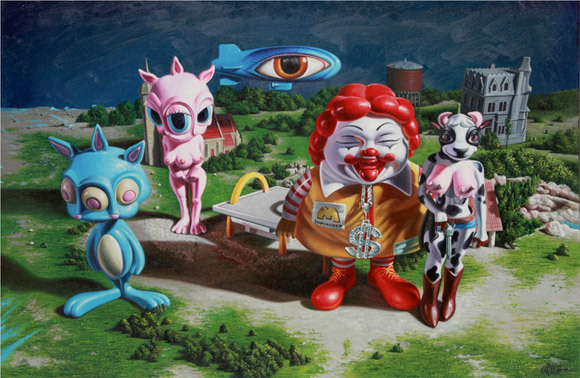 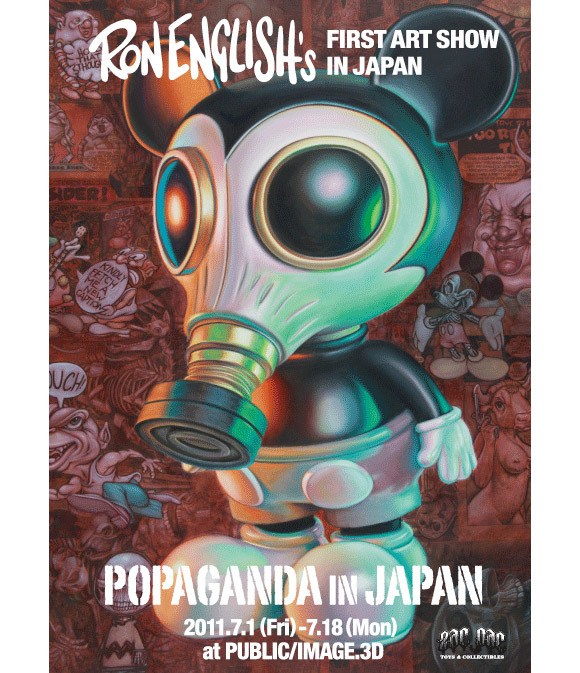 Popaganda mastermind, Ron English is going big this July for his first art exhibition in Japan, POPAGANDA IN JAPAN. 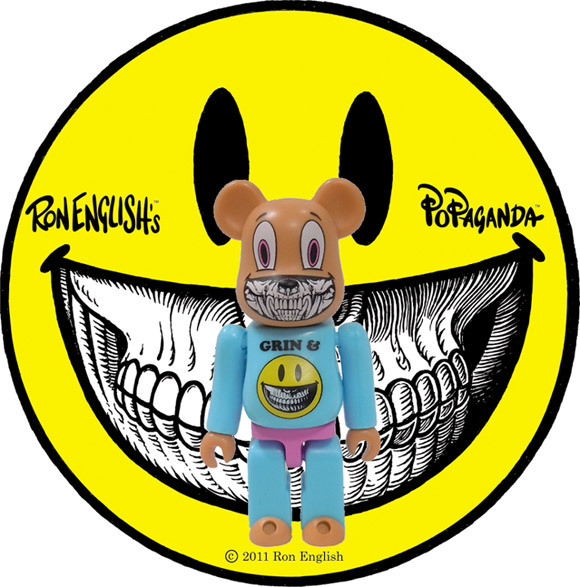 To commemorate this monumental exhibition, Ron has released a special edition GRIN & BEAR IT Be@rbrick with Zac Pac. 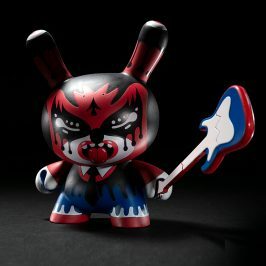 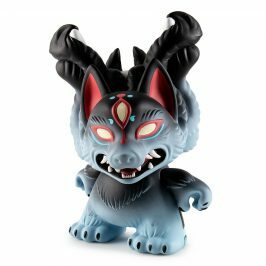 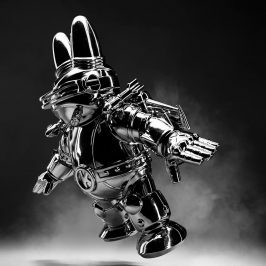 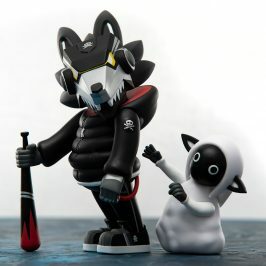 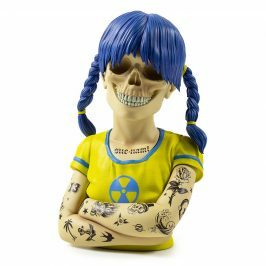 Amongst the paintings, sculptures and Popaganda products will be some special collaborative works with international artists Touma, Jason Freeny and Kim Songhe. 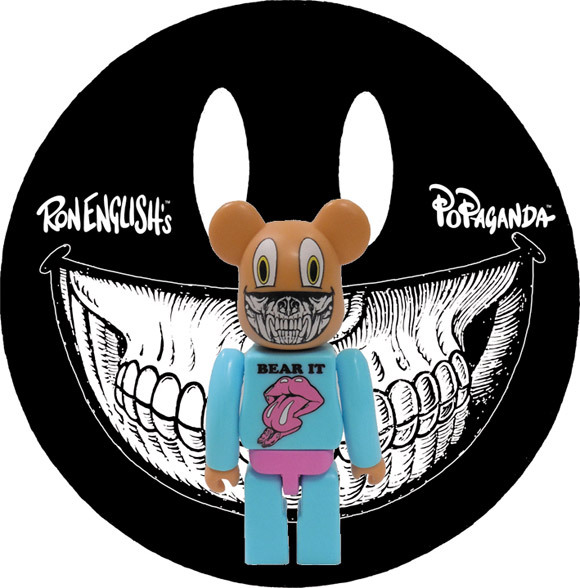 POPAGANDA IN JAPAN opens at PUBLIC/IMAGE.3D on July 1 and will be on display through July 18. 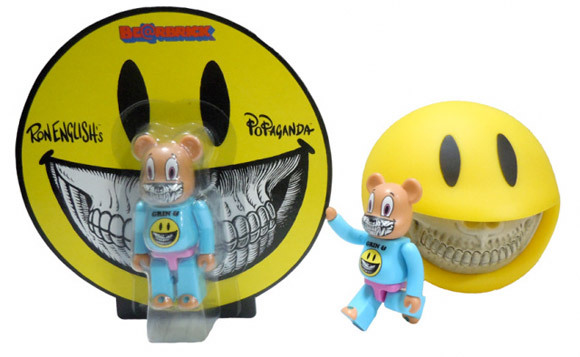 You can get your paws on the GRIN & BEAR IT Be@brick here.